At this point, James Harden remains the overwhelming favorite to take home a second straight MVP award in June. After all, the Rockets man has produced a series of dazzling offensive performances that have resulted in the 29-year-old averaging a mammoth 36.3 points per game, although both Giannis Antetokounmpo and Paul George have also made their own cases to take home the award. Antetokounmpo has earned plenty of plaudits for his starring role in steering the Milwaukee Bucks to the best record in the NBA, however, George's career-year with the Thunder has went somewhat under the radar. 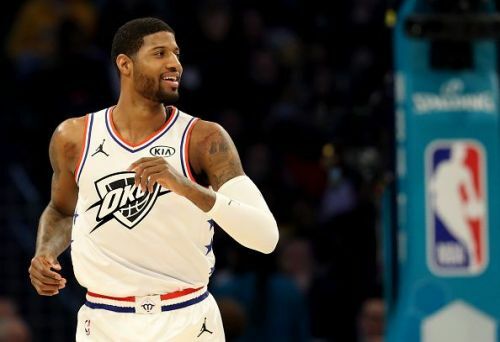 George entered the 18/19 season with many analysts questioning his decision to sign with the Thunder, and PG13's detractors also pointed to the fact that his poor shooting was the decisive factor in OKC's Game 6 elimination to the Jazz back in April. Nevertheless, in the absence of Russell Westbrook, George stepped up to lead his team during the early weeks of the season, and PG13's performances were so influential that for the first time in years, the Thunder did not have to rush back a half-fit Westbrook. Westbrook has since returned, however, George has remained as the Thunder's most important player. George has regularly closed games out for OKC, and for much of the season, George's offensive output carried the team due to the shooting woes of Westbrook. Every MVP candidate also requires stand out games to bolster their case, and none springs to mind like George's epic performance against the Brooklyn Nets. During the December clash, George scored 25 fourth-quarter points, including a go-ahead 3-pointer with 3.1 seconds left, as the Thunder pulled off a historic comeback. George finished the game with 47 points, a tally he also matched earlier this month against the Portland Trail Blazers. In terms of individual statistics, George currently only trails Harden in points-per-game (28.7), while also leading the league in steals per game (2.22). 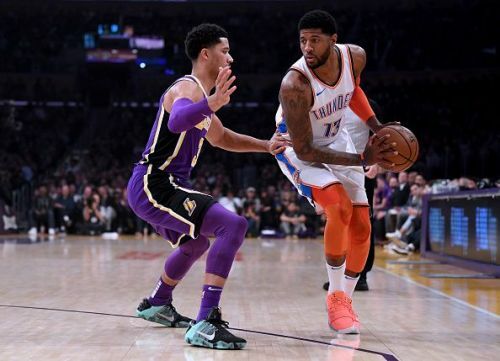 Ultimately, George is the favorite to take home the Defensive Player of the Year, although considering his incredible efforts at both ends, there is no doubting that PG13 would be a worthy recipient of the 2019 MVP award.